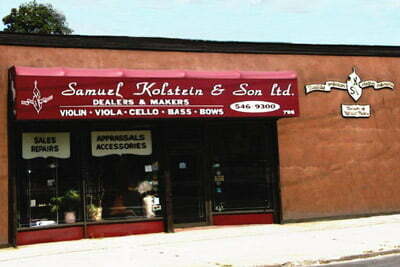 Kolstein Music, Inc. and fine arts division, Samuel Kolstein & Son, Ltd., established some 55 years ago, are now located in spacious facilities at 795 Foxhurst Road, Baldwin, New York, USA. These buildings are home to elaborate showrooms, accessory departments, restoration facilities, and manufacturing of the Kolstein products. 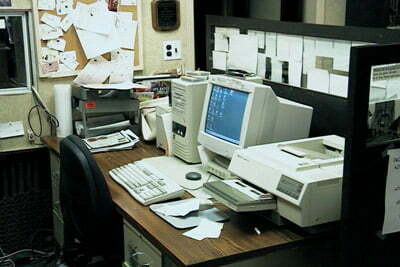 We added a 2,500 square foot adjoining building to accommodate the Kolstein educational division in September of 1999. Samuel Kolstein & Son, Ltd. maintains an extensive collection of violins, violas, cellos and basses of all price ranges and pedigrees. Kolstein expert staff members will assist all levels of musicians in evaluating quality instruments, bows and accessories for repairs and sales. 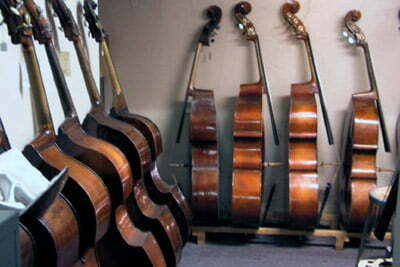 The name Kolstein has always been synonymous with the Bass. 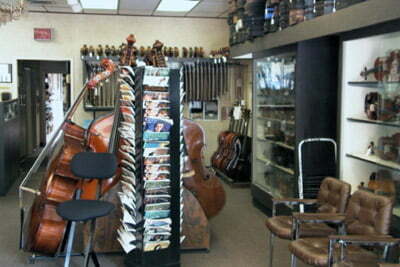 Although we are one of the largest international dealers of Bass Violins, we are much more than just basses. We are dedicated to the full quartet of string instruments and maintain a huge inventory and extensive repair facilities dedicated to the complete quartet of instruments. The Kolstein accessory line is extremely comprehensive ranging from the full line of the world renown Kolstein products to a huge selection of alternate products dedicated to the full professional as well as the student at affordable prices. 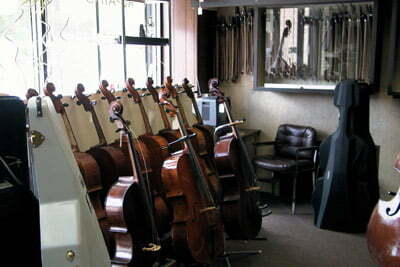 Our showroom is a literal preponderance of instruments, bows, and accessories to interest even the most discriminate player and string aficionado. 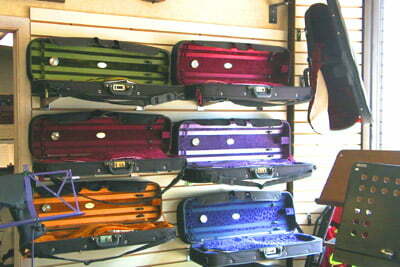 To maintain our extensive collection of fine caliber instruments we have a climatized security vault. This vault provides safe storage of Kolstein’s rare instruments, as well as consigned instruments for potential sale and instruments belonging to clients who wish to store their valued instruments. 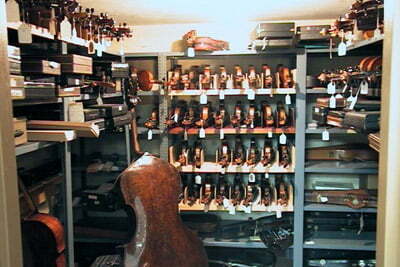 A more detailed look at our vault facility shows an extensive collection of violins, violas, cellos and yes, even basses. 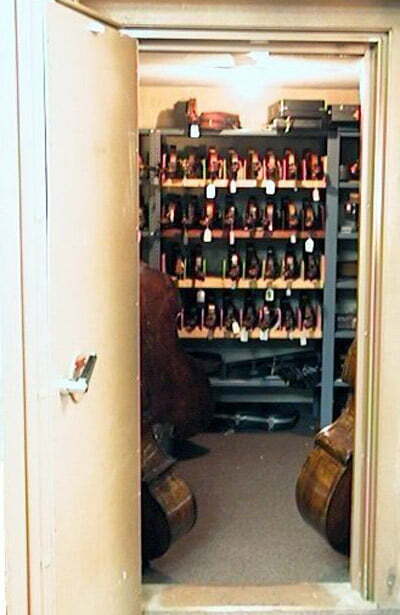 Obviously, the Kolstein vault facility was designed for spacious, safe storage of any instrument. 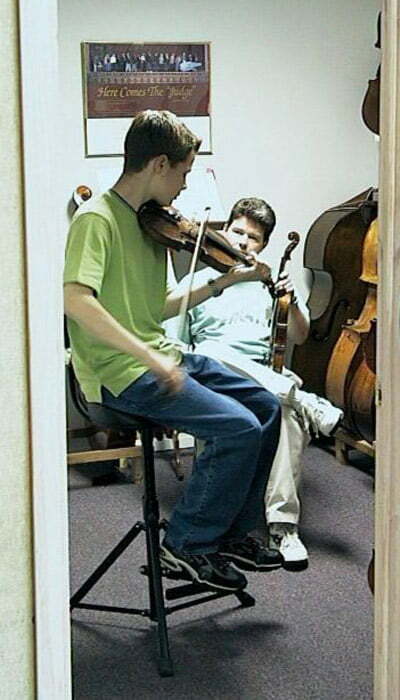 The fine arts division of Kolstein offers several acoustically optimized practice rooms to allow privacy but accuracy in the tonal reproduction of instruments being evaluated. Although Kolsteins’ is an “Old World” artisan craft and follows the creativity of the masters of previous periods, we are extensively involved in modern methods of computerization to make our worldwide musical community one that we can communicate with easily and impart needed information to our international clientele. 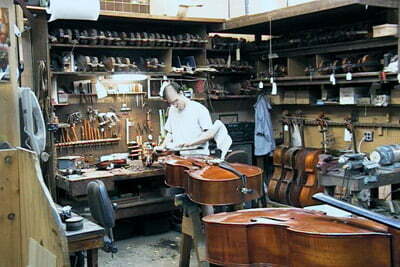 Restoration has always been the forté of the Kolstein violin shops. 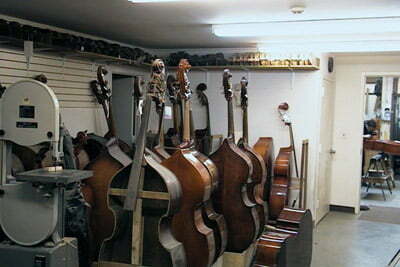 Repairs of all magnitude on violins, violas, cellos and basses are commonplace within our shops. Even though the restoration staff of Samuel Kolstein & Son, Ltd., Violinmakers is in constant demand, all work is approached with the utmost expediency and accomplished with maximum priority at an affordable cost to our clients. 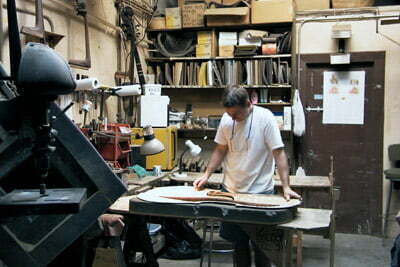 With multiple areas in our extensive restoration facility, Kolstein guarantees the integrity of any level of repair. Kolstein offers an international staff of restoration experts that have been chosen by Barrie Kolstein, internationally recognized maker, restorer, and violin expert. All members work closely under Mr. Kolstein’s supervision to insure the level of quality, integrity, craftsmanship and perfection — all hallmarks of the Kolstein name. 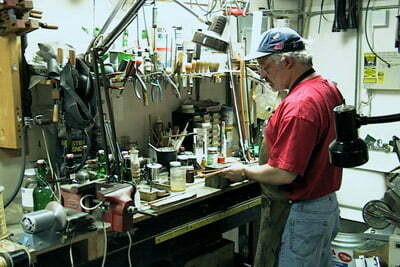 In addition to the instrument restoration facilities, Samuel Kolstein & Son, Ltd. maintains two extensive bow restoration facilities able to meet the exacting needs of any level of bow restoration, repair, or making. 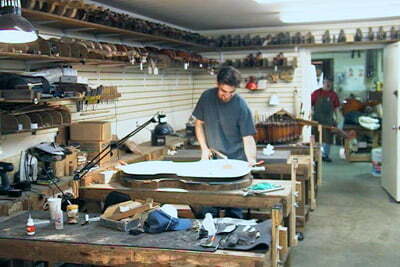 Kolstein Music, Inc. has modern manufacturing facilities that create the many Kolstein products. Kolstein maintains numerous international manufacturing facilities worldwide, including the Philippines and India. All facilities maintain the level of quality control for which Kolstein products are known.